Doug Iverson became the Economics and Business Department’s executive in residence in 2012 following four decades in leadership positions in the banking industry. As executive in residence he brings a full career of business experience to his teaching and mentoring of students, connecting theory with practice and helping students understand how research, recommendations and problem-solving play out in the business world. He teaches Macroeconomics, Monetary Economics and Investment Fundamentals. In fall 2019 he will introduce a student-managed investment course in which groups of students will analyze investment alternatives and present recommendations to the investment committee of the Board of Trustees. As a Center for Leadership coach he mentors student groups that are engaged by outside businesses to research or evaluate real-world business opportunities. He also advises the Business Club and teams of students who organize two annual campus competitions of particular interest to business students: the Association for Corporate Growth Competition Cup and the Commercial Loan Underwriting Case Competition. Professor Iverson has been teaching in Michigan since the 1990s. 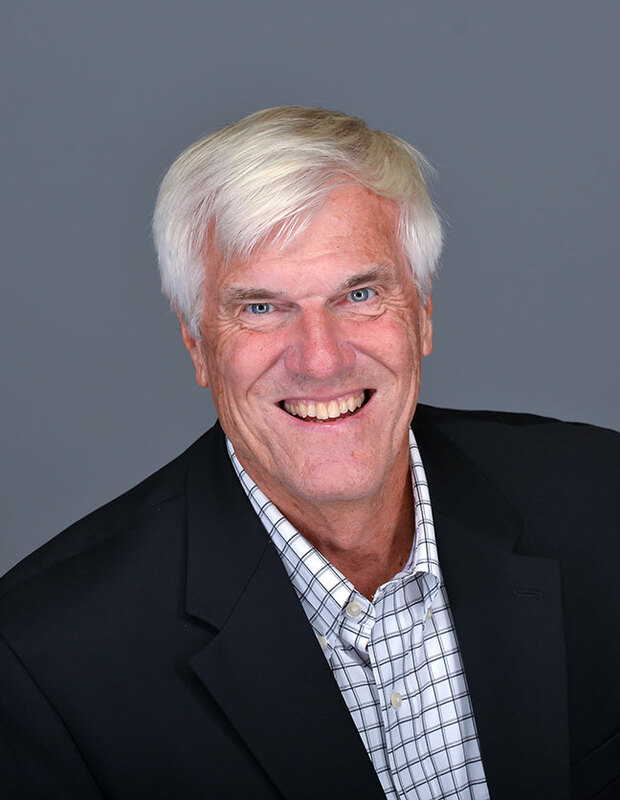 While working as a banker he taught courses in investments, real estate, finance, money and banking, and economics for 20 years at Hope, and he also taught at Grand Valley State University, Davenport University and the University of Michigan. He began his banking career at Ottawa Savings Bank in 1972 and rose to become its CEO. In that position from 1997 through 2000 he managed the acquisition of AmeriBank and the resulting doubling of Ottawa Savings’ assets from $350 million to $700 million, and then grew it to $1.1 billion and led it through the sale of Ottawa Financial to Fifth Third Bank. At Fifth Third Bank he led the West Michigan retail banking division for two years and then spent two more as executive vice president on the mortgage side in the Chicago affiliate. In 2004 he joined the leadership team of the Federal Home Loan Bank of Indianapolis, a government-sponsored financial institution that provides financial products and services to commercial banks, savings and loan associations, credit unions and insurance companies with the goal of enhancing their housing and community lending. His roles there spanned three major departments; he managed the mortgage purchase program from 2004 to 2006; served in 2007 and 2008 as interim chief operating officer; and was senior vice president and director of sales, marketing and communications from 2005 though 2011. In the latter role he directed business development of all products and services including mortgage purchase programs, affordable housing programs, branding, market research, advertising, and government and investor relations. His broad fund-raising experience has included chairing fund drives for Hope College and for United Way, and capital campaigns for Holland Christian School, Resthaven Care Center and two churches in Holland, Michigan. Keefe, Bryette & Woods Inc. Professor Iverson serves on the board of Evergreen Commons (Holland’s senior center) and served in the past on the boards of a dozen other municipal, professional and private agencies and foundations, including Neighborhood Housing Services in Chicago, the Michigan League of Community Banks, the Holland Zeeland Community Foundation, the Holland Boys and Girls Club and the Holland Homebuilders Association. He and his wife, Mary-jo, are members of Christ Memorial Church in Holland. They have two children and six grandchildren.